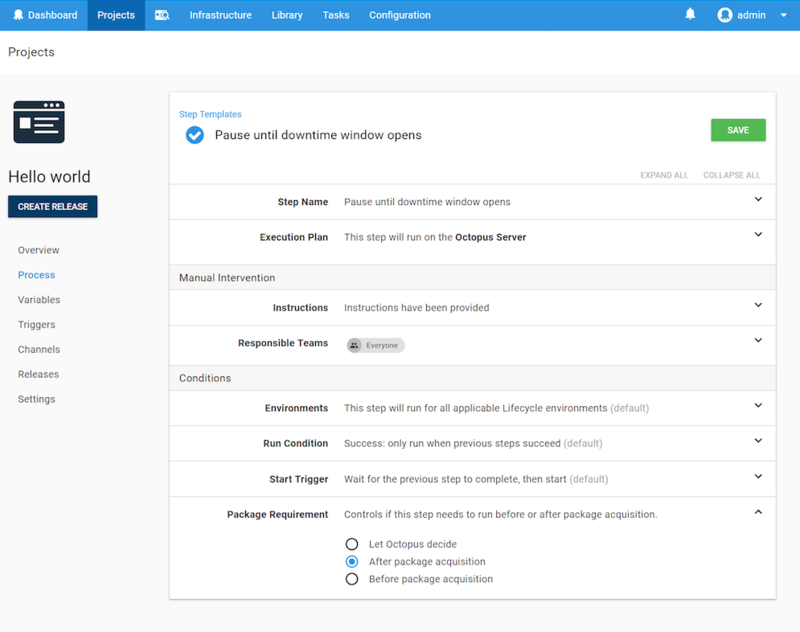 During the acquire packages stage, Octopus will upload all NuGet packages used in the deployment to all servers. We do this because package uploads can be time consuming, so we want to minimize the downtime between installing packages A and B in this example. Effectively, this will upload all packages, and then pause the deployment until you are ready to proceed. When your downtime window arrives, you can then click Proceed, and have the deployment continue. Under the Package Requirements section, select After package acquisition.